The EVO-22 has an innovative pocket fastening system in its base, so it slides onto the EVO-Rack and is held securely in place with two quick-release buckles. Engineered from high quality ballistic fabric and shaped to cheat the wind, the EVO-22 measures 290 x 330 x 375mm and will swallow up to 22 litres of luggage. Two carry handles make it easy to grab and go when you reach your destination and there’s a shoulder strap too. Inside are pockets to keep keys, wallet and tickets handy. 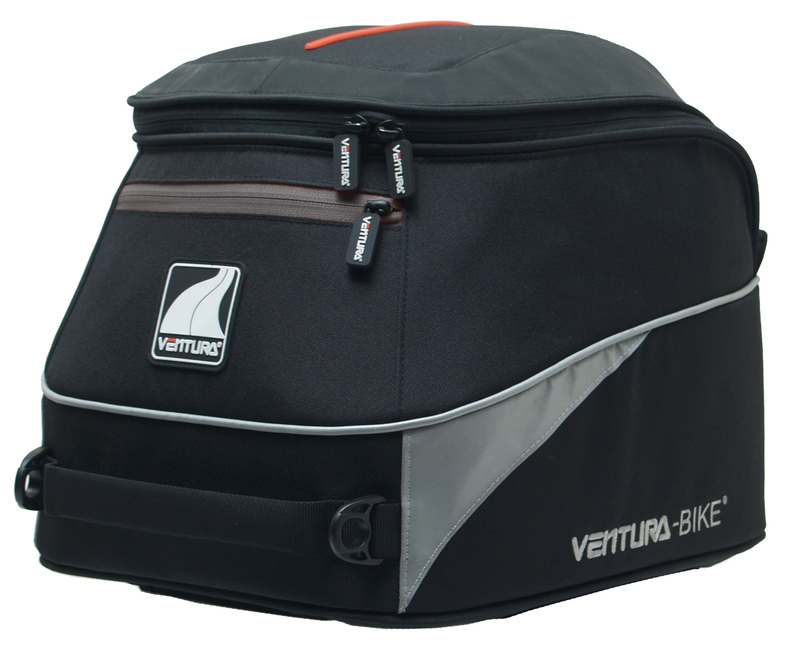 Double sliders on the zips allow for swift access and the main compartment zipper is lockable. Reflective safety piping and panels boost visibility in the dark. 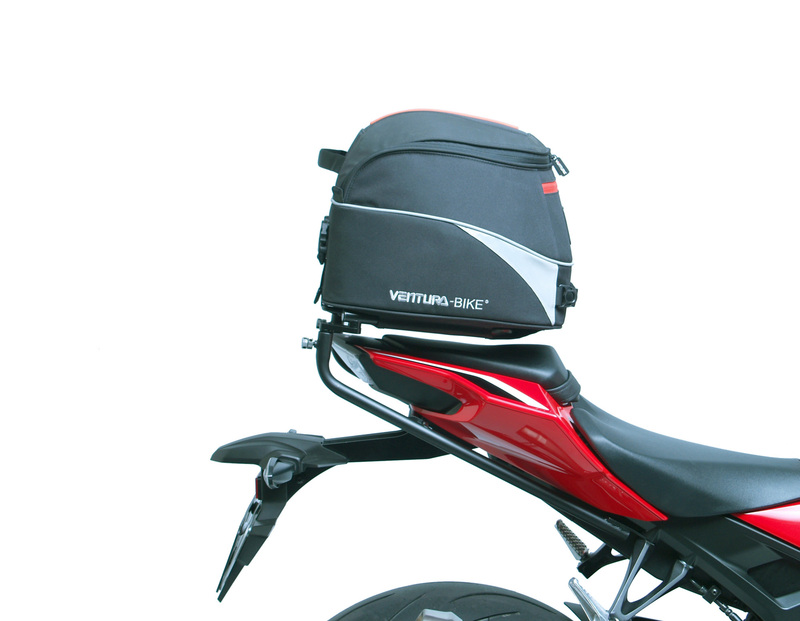 Designed to match the sleek lines of whichever motorcycle it’s fitted to, the new EVO-Rack has a flat base and an adjustable mounting system. This allows the EVO-Rack to pivot, so it can be mounted in various positions on the bike. The EVO-Rack fits onto Ventura’s well-established L-bracket system, with fitments produced for more than 2000 models, including machines dating back into the 1970s. The L-brackets attach using existing points on the sub-frame, so they add minimal weight, without making the machine any wider. The EVO Pack’s ‘slide on, ride off’ fitment eliminates the need for straps or bungees, so it’s quick and easy to attach or remove. The EVO Rack can be removed in seconds, leaving only the discreet L-Brackets behind. The rider then has the option of fitting a pillion Grab Handle. The EVO-22 PACK retails at £130.00 and the EVO-Rack sells for £77.99. Prices for L-Brackets start at £82.99 and vary according to make/model of motorcycle. All prices include VAT.